How Does a DUI from Each State Affect Entry to Canada? Drunk driving laws can vary greatly from state to state. Some states use the term DUI or driving under the influence, others use DWI or driving while intoxicated, and many states use a different acronym altogether such as OVI, DWAI, or OWI. Most states have "zero tolerance" laws for driver's under 21 and have implied consent laws making it illegal to refuse a breathalyzer. Several states also have a specific DUI drugs law making it illegal to operate a motor vehicle with a measurable amount of any intoxicating drug in your body. Even though impaired driving laws vary by region, pretty much every alcohol related driving violation in the United States can render a person inadmissible to Canada without special permission for border admittance. Driving under the influence of alcohol or drugs carries stiff punishments in California. The state has mandatory jail time for first offense drunk driving and is particularly harsh on DUI re-offenders. To learn more about how a California DUI can affect entry into Canada, read our article about visiting Canada with a California DUI. California is one of the only US states where impaired driving offenses can be expunged. 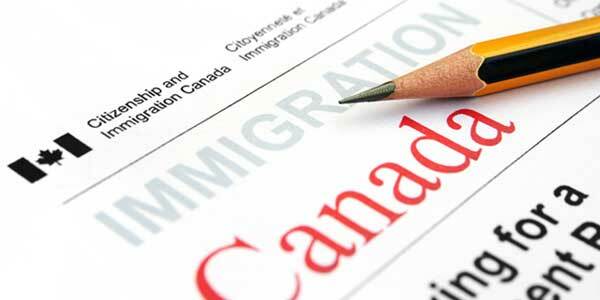 Driving while intoxicated in Texas can render a person ineligible to go to Canada. For more information about crossing the Canadian border with a Texas DWI, read our article about entering Canada with a DWI Texas. Foreign nationals who are arrested or convicted of drunk driving in Florida can also be denied entry into Canada. To read more about getting into Canada with an impaired driving charge from Florida, read our article about traveling to Canada with a Florida DWI. People that live in states that share a border with Canada, such as Montana, generally require access to the country much more frequently. To learn about traveling north of the border with a criminal record from Montana, read our page about Canada entry with Montana drunk driving conviction. Many residents of ND love to hunt and fish, and will often travel to Canada in order to do so. Besides farming, oil and gas (fracking) are the state's main industry, so there is a lot of cross-border business that gets done between North Dakota and the provinces of Alberta and Saskatchewan. To learn more about entry to Canada with North Dakota DWI, please click the link for a full guide. Whether you are flying to Canada or driving across the border, an Idaho DUI can render a person ineligible for entrance according to Canada's immigration laws. For more information about visiting Canada with a DUI Idaho, please read our complete article on the subject. Residents of Washington state frequently cross the Canadian border into British Columbia. Whether you are planning a romantic weekend in Vancouver or skiing vacation to Whistler, if you have a DUI on your record you may be ineligible to enter the country. To learn more about how a Washington state DUI can affect travel to Canada, read our guide on going to BC with a Washington DUI. First-time impaired driving offenses in the state of Washington are often reduced to reckless driving or negligent driving, both of which can still result in a traveler being refused entry at the Canadian border.